Advanced Micro Devices has quit a PC industry consortium, implying the integrity of a widely used benchmark is biased toward Intel chips. In a blog Wednesday, an AMD executive provided a long explanation about why AMD has quit the BAPCo industry consortium, which develops and distributes the SYSmark benchmark. Graphics chip supplier Nvidia has also quit the group. The company confirmed to CNET that it has quit but declined to comment further. AMD’s argument revolves around the lack of emphasis on what is called general-purpose computing on graphics processing units, or GPGPU. This is an evolving computing paradigm that attaches increasing importance to the GPU for accelerating common tasks such as encoding/decoding of video and audio and Web browsing. Ever wonder what a museum in your honor would look like if it used your Facebook profile as the basis for all the exhibits? Intel announced a significant change to its product roadmap designed to boost the company’s efforts to get its chips into ultra-mobile devices of all shapes and sizes. CEO Paul Otellini said Intel’s future processors for laptops and mainstream desktops would be designed with a power rating of 10 to 20 watts. That’s a major change from the 30- to 40-watt ratings of today’s second-generation Core processors. This isn’t the first time that Intel has made such a shift in its product roadmap–Otellini specifically cited the introduction of the Pentium processor and the Centrino mobile platform–but it is a significant one for Intel. Intel will continue to have more powerful processors for high-end desktops, workstations and servers. Similarly, at the opposite end of the spectrum Atom will scale not only down to a few milliwatts, to get into smartphones, but also up to enable more powerful tablets, netbooks and other devices. The result, Otellini said, will be a product line that scales the entire continuum from phones to data centers with no gaps, at least in terms of power consumption. These changes won’t get Intel into more tablets and smartphones overnight, though. Otellini said that Intel is “on target” with tablets–it had previously announced that 35 tablets designs were in the works-but confirmed that the first smartphones won’t arrive until the first half of 2012. Thunderbolt (originally codenamed Light Peak) is an interface for connecting peripheral devices to a computer via an expansion bus. Thunderbolt was developed by Intel and brought to market with technical collaboration from Apple Inc. It was introduced commercially on Apple’s updated MacBook Pro lineup on February 24, 2011, using the same port and connector as Mini DisplayPort. Thunderbolt essentially combines PCI Express and DisplayPort into a new serial data interface that can be carried over longer and less costly cables. Because PCI Express is widely supported by device vendors and built into most of Intel’s modern chipsets, Thunderbolt can be added to existing products with relative ease. Thunderbolt driver chips fold the data from these two sources together, and split them back apart again for consumption within the devices. This makes the system backward compatible with existing DisplayPort hardware upstream of the driver. Apple’s iMac 2011 showed that this compatibility is limited to the video output, as video input is incompatible with DisplayPort and mini-DisplayPort devices, and only allow Thunderbolt-equipped computers to send a video signal to 2011 iMac’s through Thunderbolt cables, exclusively, breaking compatibility with existing DisplayPort and mini-DisplayPort equipped computers. The interface was originally designed to use flexible optical fiber cables, but a version using conventional copper wiring was also developed to furnish the desired 10 Gb/s bandwidth at lower cost. Intel’s implementation of the port adapter folds Thunderbolt and DisplayPort data together, allowing both to be carried over the same cable at the same time. A single Thunderbolt port supports hubs as well as a daisy chain of up to seven Thunderbolt devices; up to two of these devices may be high-resolution displays using DisplayPort. Apple sells existing DisplayPort adapters for DVI, dual-link DVI, HDMI, and VGA output from the Thunderbolt port, showing broad compatibility. The new 2010 Intel® Core™ i7 processor, Intel® Core™ i5 processor, and Intel® Core™ i3 processor deliver intelligent performance for desktop and laptop PCs. Each core works on two tasks simultaneously, enabled by Intel® Hyper-Threading Technology (Intel® HT Technology). Ideal for graphic and compute-intensive applications, these processors offer IT a sound investment for the business requirements of today and tomorrow. With Intel® Turbo Boost Technology built in, you can increase business productivity and performance while maximizing speed to match workloads. Based on 32nm Intel® microarchitecture, these processors offer the foundation for reliable, responsive, and energy-efficient PCs. 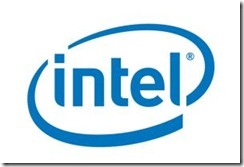 Intel will stop selling Core 2 Duo and Core 2 Quad in 2010. Core is the new range of Intel processors. Intel will focus on next-generation laptop technology that combines graphics functions with the main processor, in the wake of the cancellation of its initial “Larrabee” graphics processor. Despite the market-rattling news from Intel late on Friday–which pushed rival Nvidia’s stock up more than 12 percent on Monday–Intel still remains the leader in the high-volume “integrated” graphics market. And the world’s largest chipmaker is about to up the ante in this market for low-cost graphics technology, which many consumers opt for instead of high-performance chips from Nvidia or Advanced Micro Devices’s ATI unit. Later this month, Intel will unveil the first product, codenamed “Pine Trail”, that puts the graphics function directly onto the same piece of silicon as the main “CPU” processor, a major departure from current technology which puts the graphics in a separate piece of ancillary silicon called the chipset. Integrating the graphics function onto the CPU is a feat that AMD–despite its purchase of graphics chip giant ATI in 2006–has yet to achieve. “This is the next logical step in further integration brought to us by Moore’s Law,” said Jon Peddie, president of Jon Peddie Research, which tracks the graphics chip market. “This is where the volume of sales are,” said Peddie, referring to the segment of the market that the processor targets. Arrandale is expected to be rolled out at the Consumer Electronics Show in January. The Arrandale chip will not support Microsoft’s DirectX-11 mutlimedia acceleration technology for Windows 7. At least not right away. “It’s on the roadmap,” according to Intel. But this technology is not widely supported across product lines by any graphics chip supplier currently. 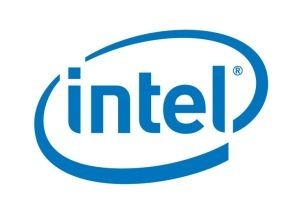 Intel also said Monday that it will continue development work on future standalone graphics products. “We haven’t stopped investing in many-core graphics architectures,” an Intel spokesperson said.